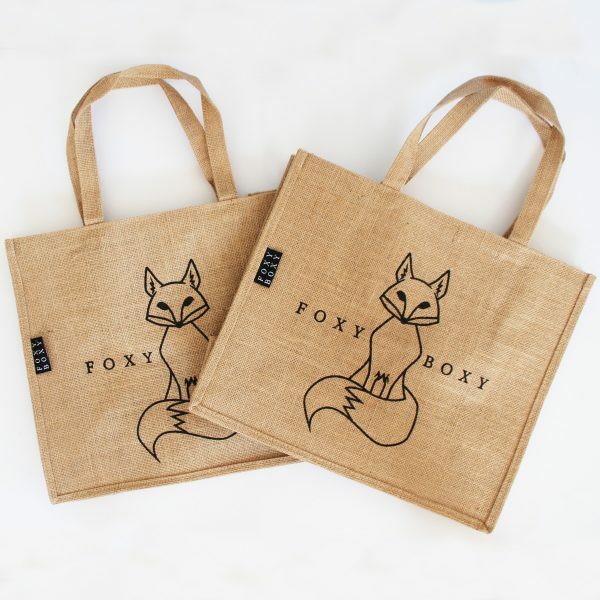 Our jute shoppers are sold as a pair (two bags) so you always have at least one in the car. Ideal for supermarket groceries, flitting around the shops or visiting your local market! 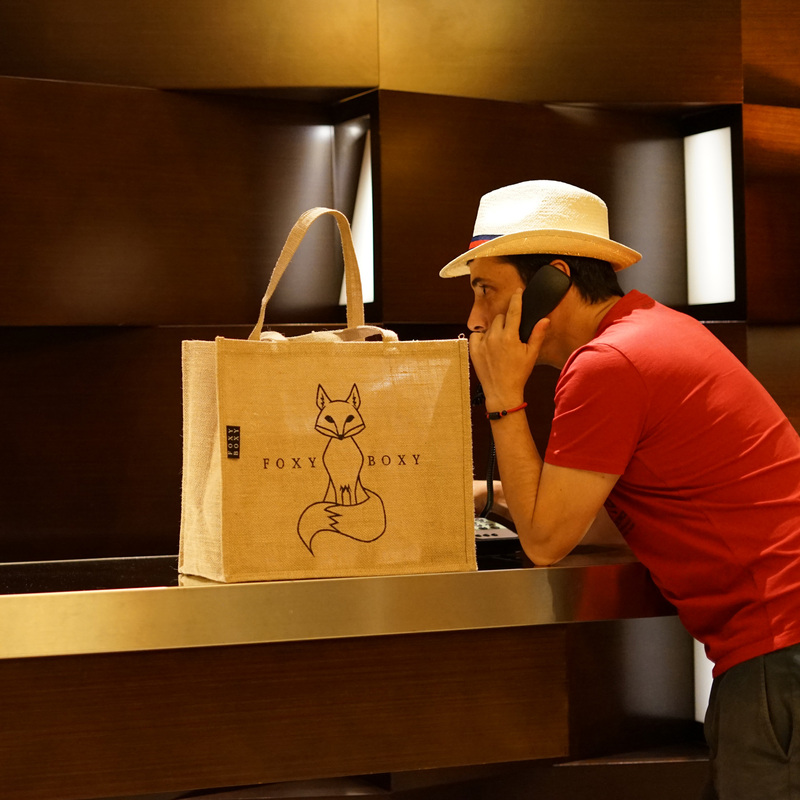 The FOXY BOXY bags were designed with quality and practicality in mind. 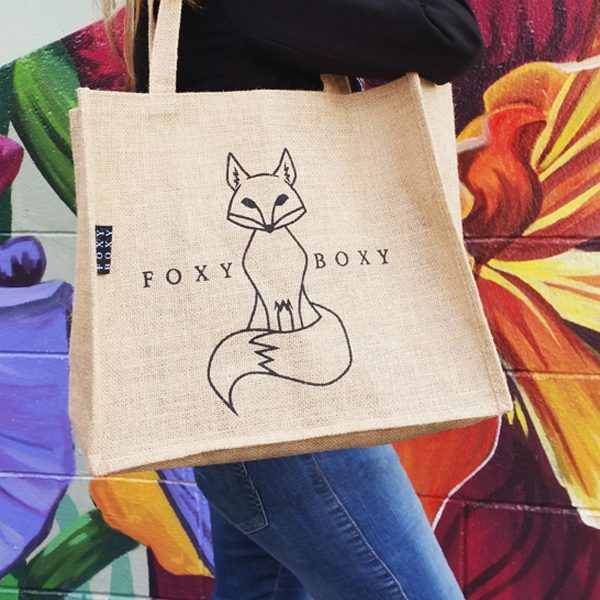 The jute is laminated on the inside with a very thin film of plastic that’s heat-sealed, giving it form which enables it to stand on its own which is extremely practical when loading groceries in and out and enables it to be wiped clean. Black FOXY BOXY logo both sides.